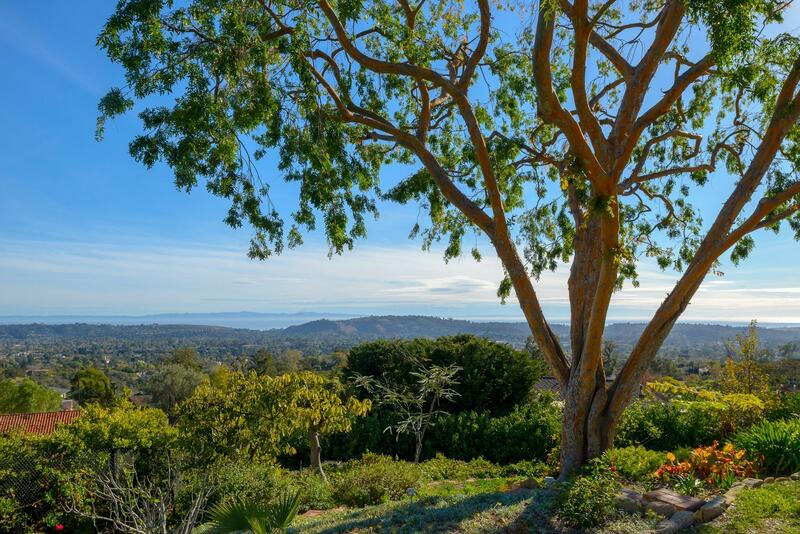 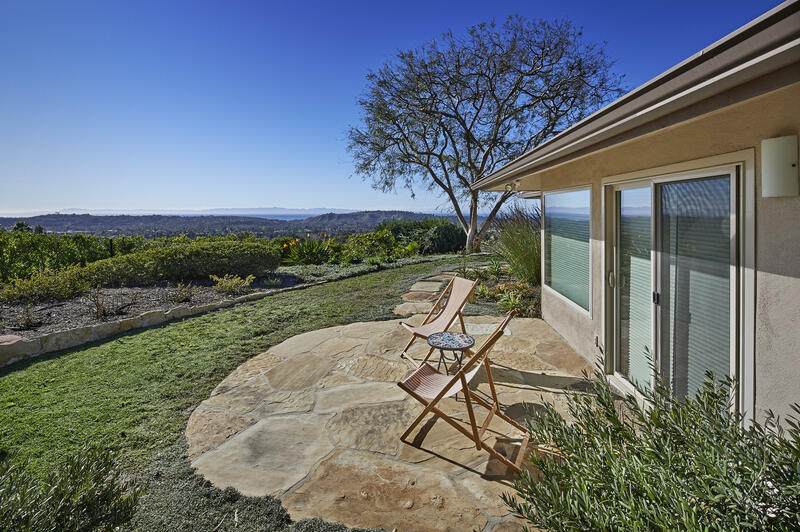 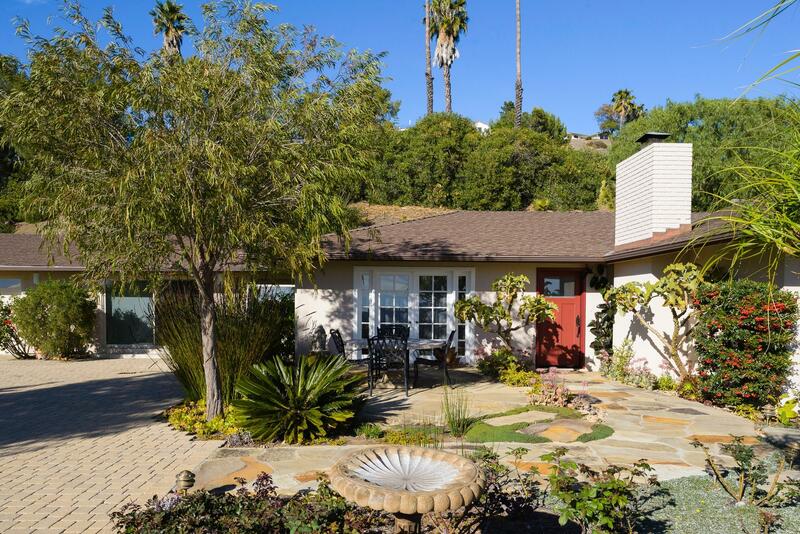 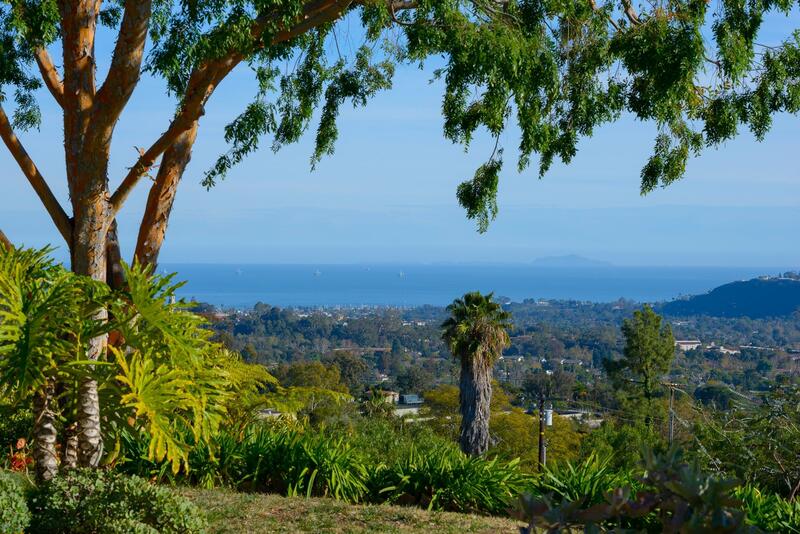 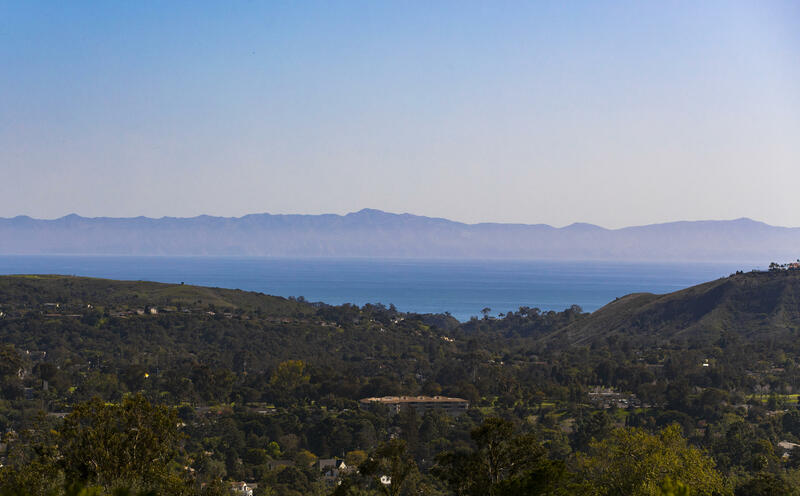 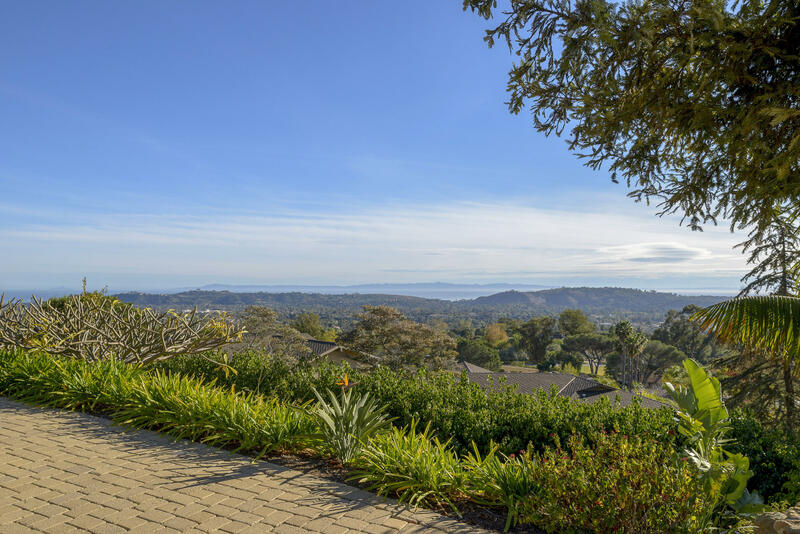 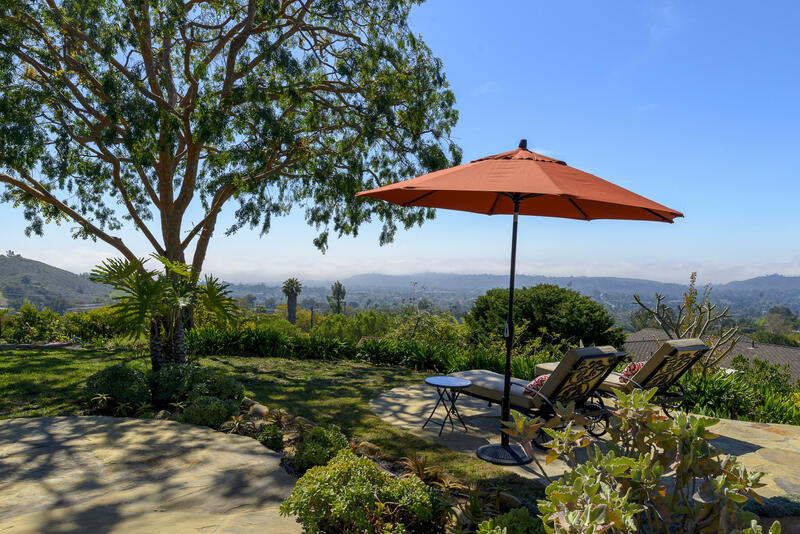 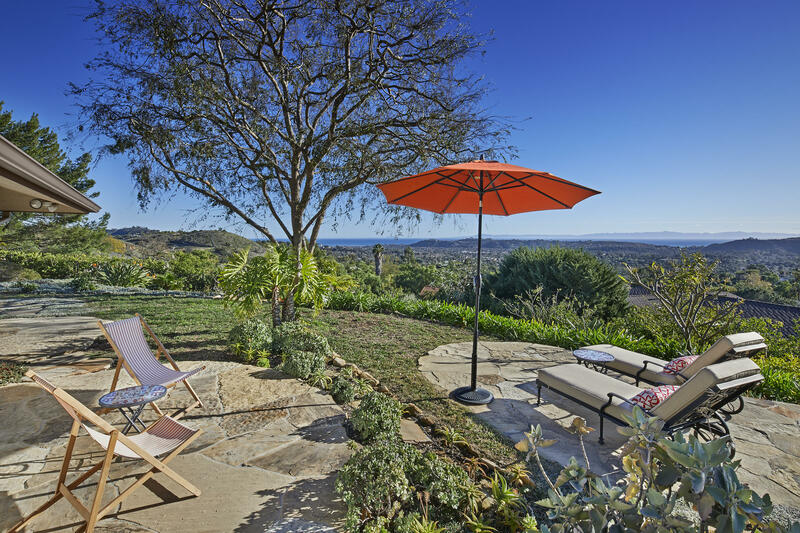 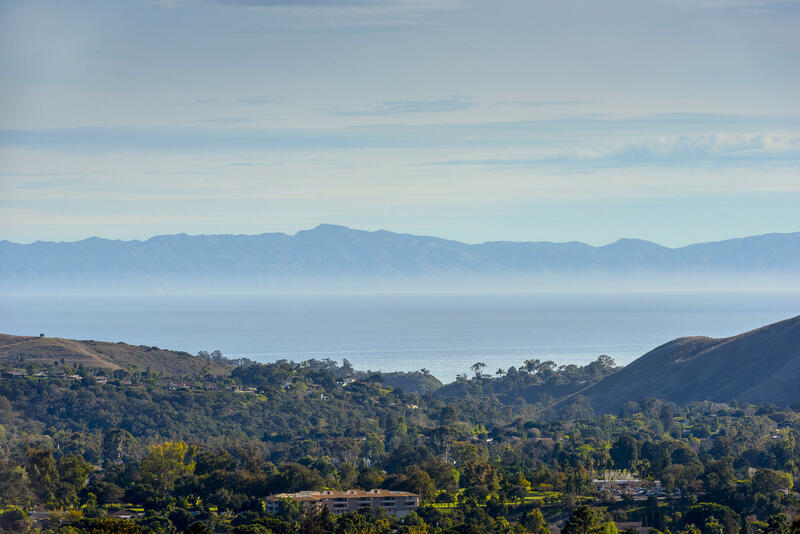 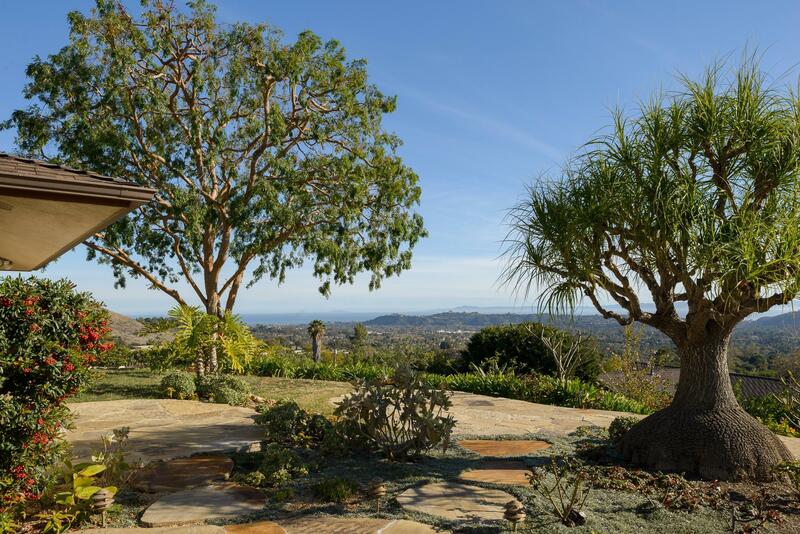 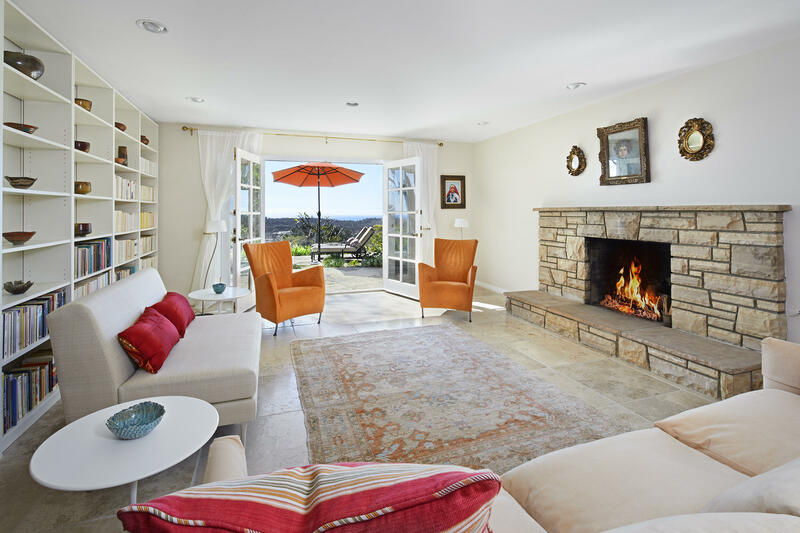 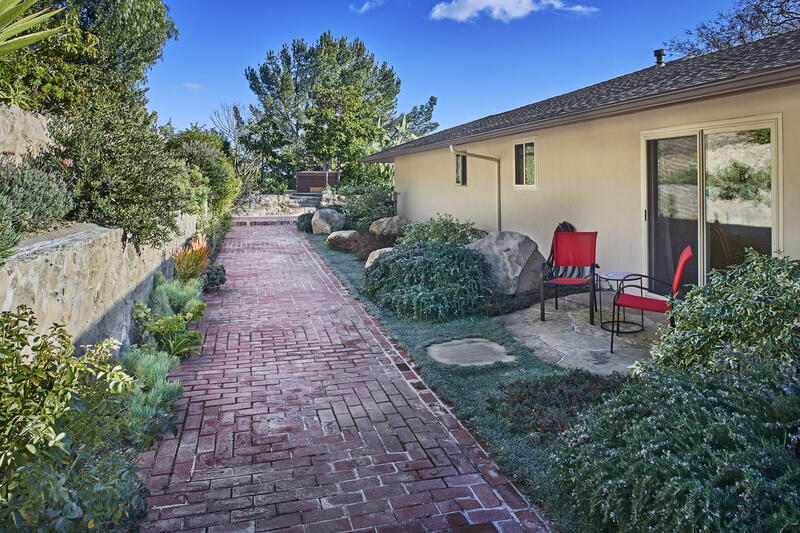 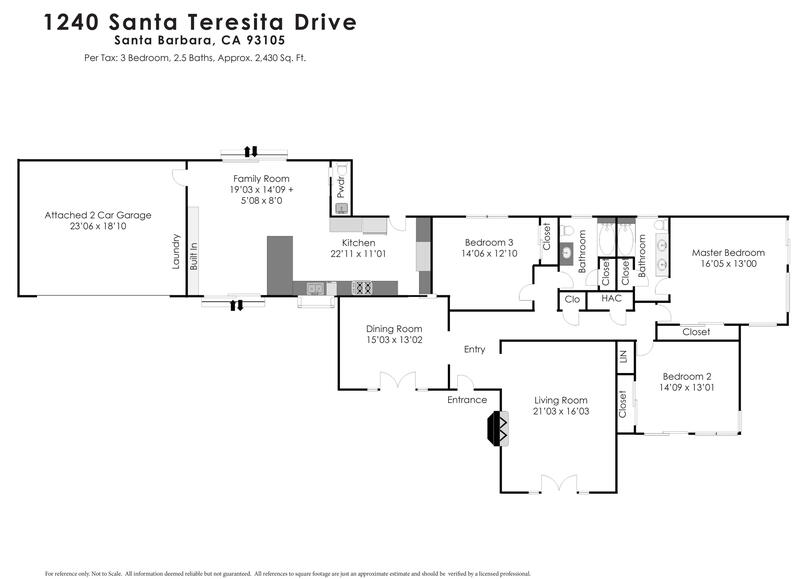 Nestled in the Santa Barbara foothills, 1240 Santa Teresita Drive is a delightful SINGLE-level home with the most amazing views. 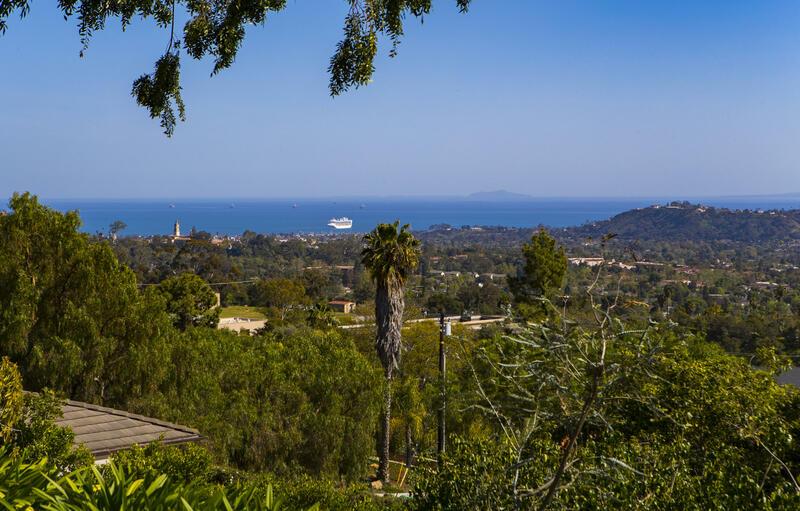 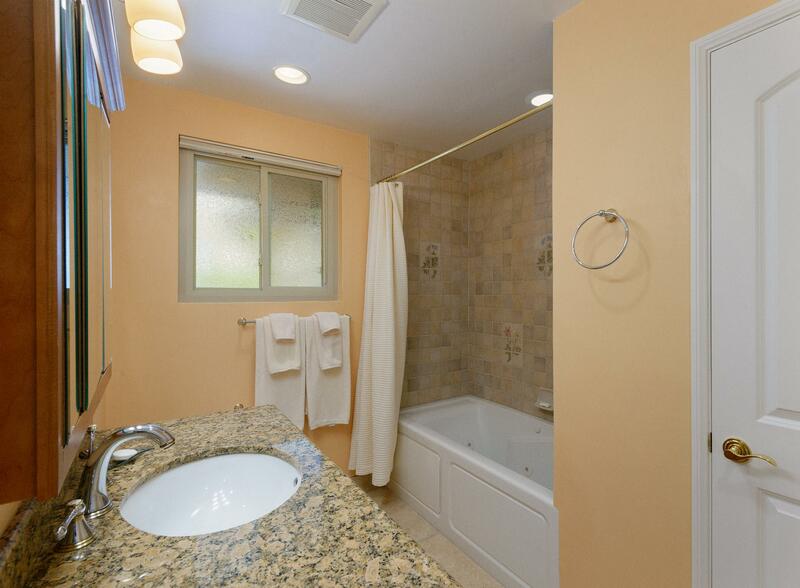 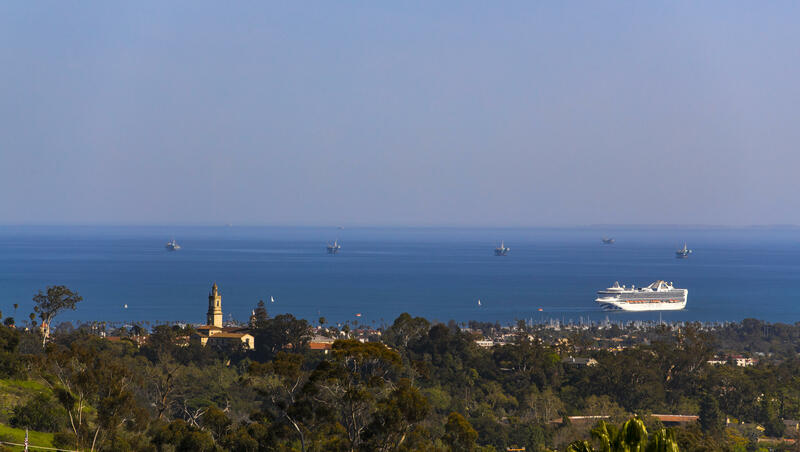 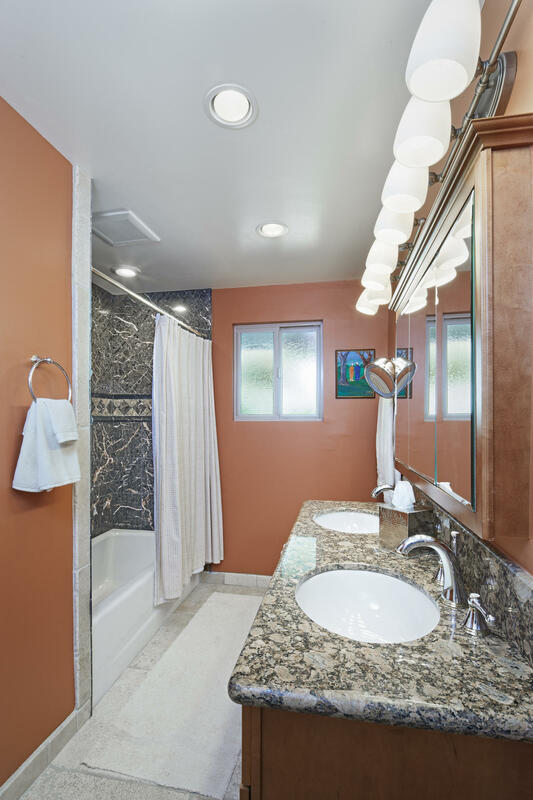 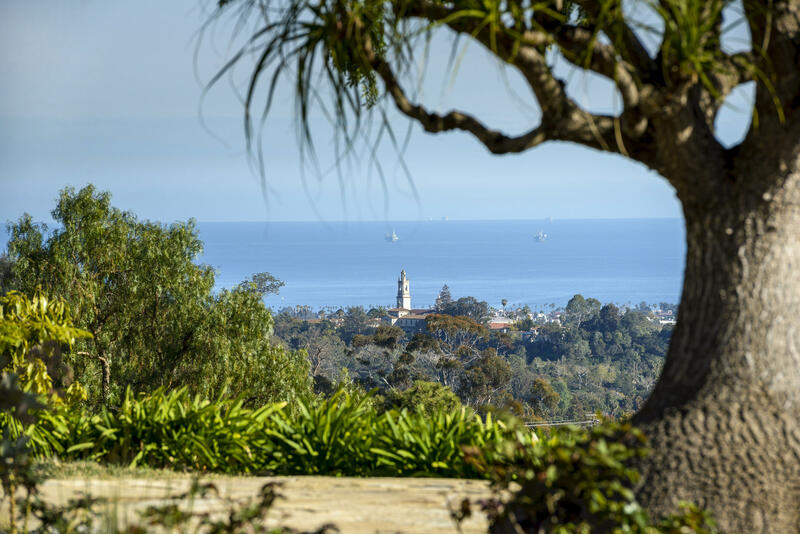 As you travel up the driveway bordered by beautiful landscaping, the view of the ocean, islands, coastline, and city will take your breath away.The attractive entryway, with stylish travertine tile floors that run through most of the home, leads you to a light-filled open, appealing space. 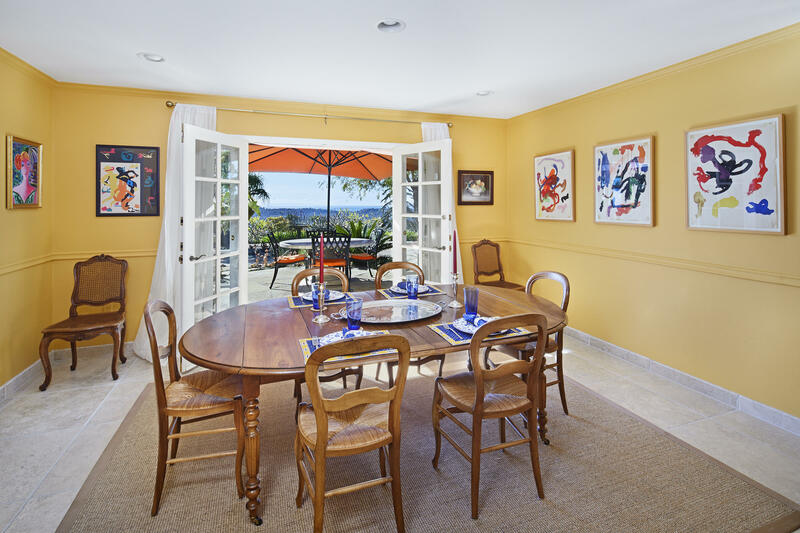 The formal dining room is nicely sized-ideal for entertaining family and friends. 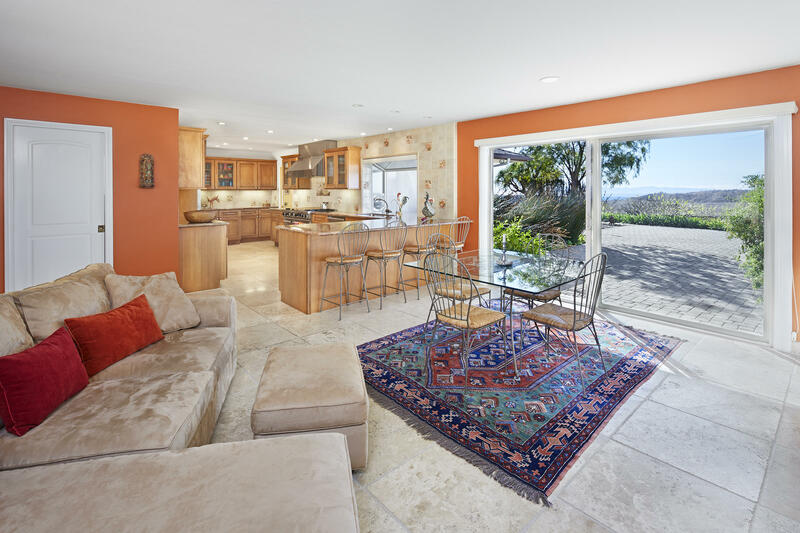 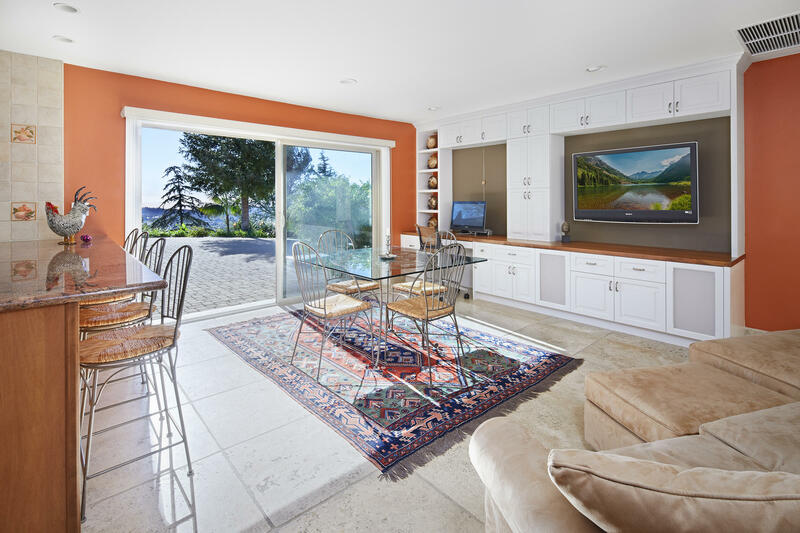 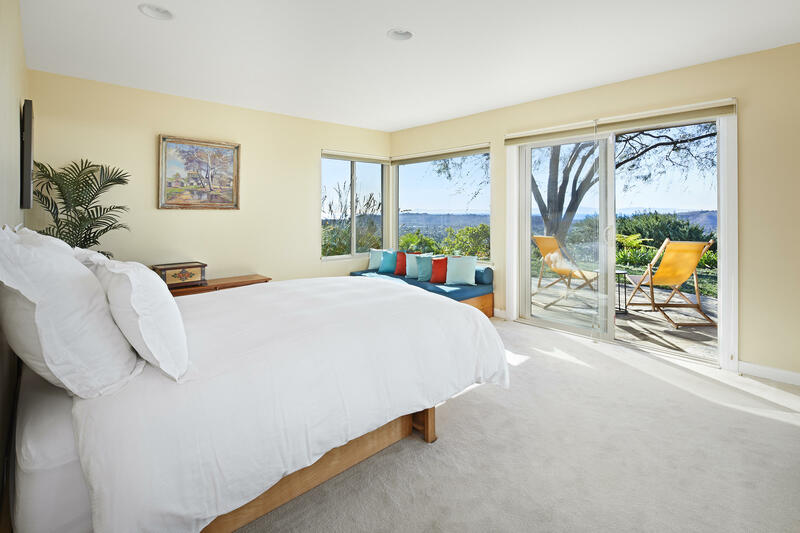 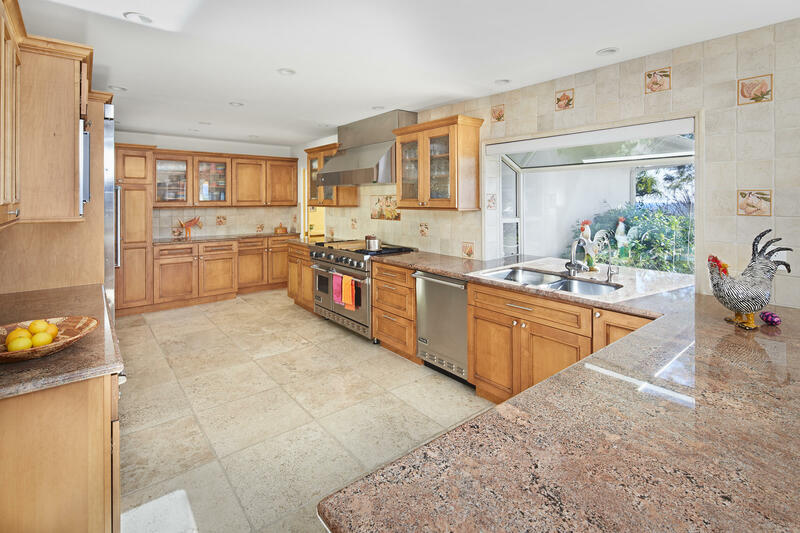 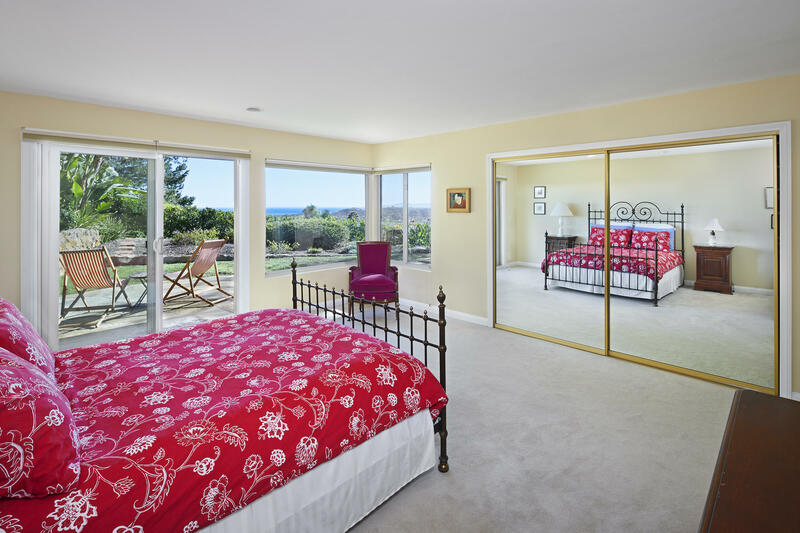 French doors lead to one of the many sandstone patios that allow entertaining to spill outside in perfect Santa Barbara style.The spacious kitchen has been remodeled with both quality and style, showcasing beautiful stained wood cabinetry, granite counter-tops, and Viking appliances.